What is a Passover Seder: The Seder is a meal done on the Passover. It is highly ordered with a lot of meaning packed into every part of it. 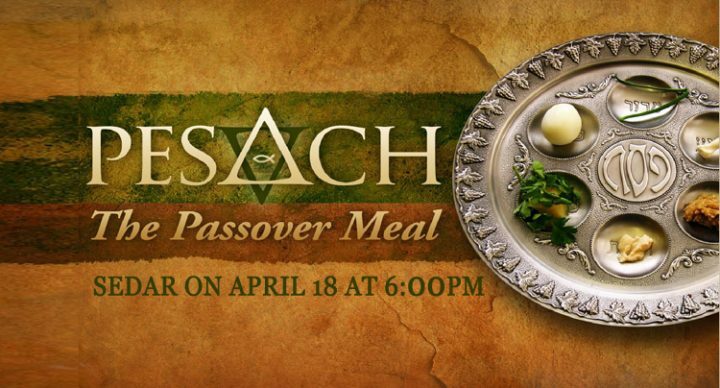 Many believe that the Passover Seder is the same meal in which Christ instituted the Lord’s Supper, others believe that the Passover at the time of Christ looked differently. More discussion on this at the Seder Meal on Maundy Thursday. When and where is the Seder Meal: We will be having the meal at church in our Fellowship Hall. It will begin at 4:30, but much of the beginning is informative and if you cannot quite make it you can sign up anyway and just show up a little late. The meal itself has many parts and will take some time to complete. Is this a complete meal: This question can be tricky, there should be plenty of food at the event. However, remember this food is different than what many of us eat as Americans. In some parts of the meal, not liking what you are eating is the point. That being said, I usually tell people to consider this a sampling.